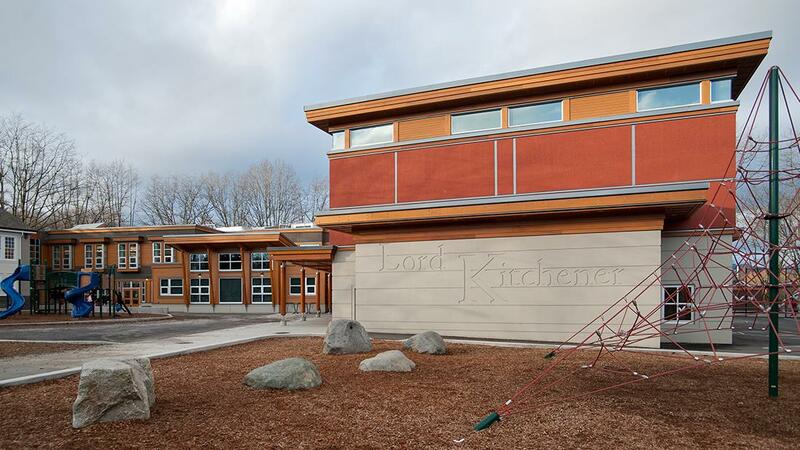 The newly built Lord Kitchener Elementary school is a unique example of the next generation of schools in Vancouver. 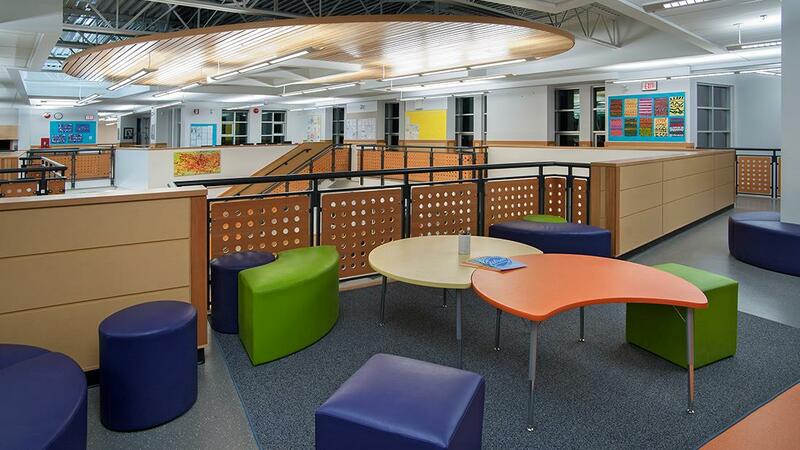 This project included the renewal of the original 1914 heritage building and boasts a capacity of over 450 students. 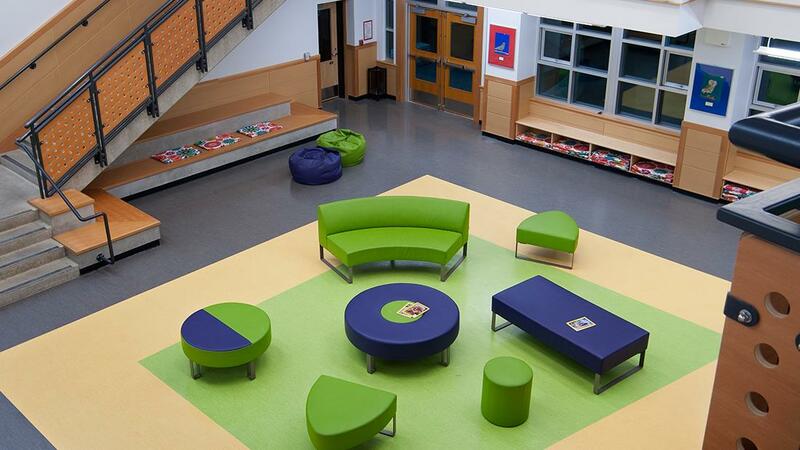 With its flexible learning spaces and open environment featuring movable glass walls it is vastly different from older schools that have closed-off classrooms connected by hallways. 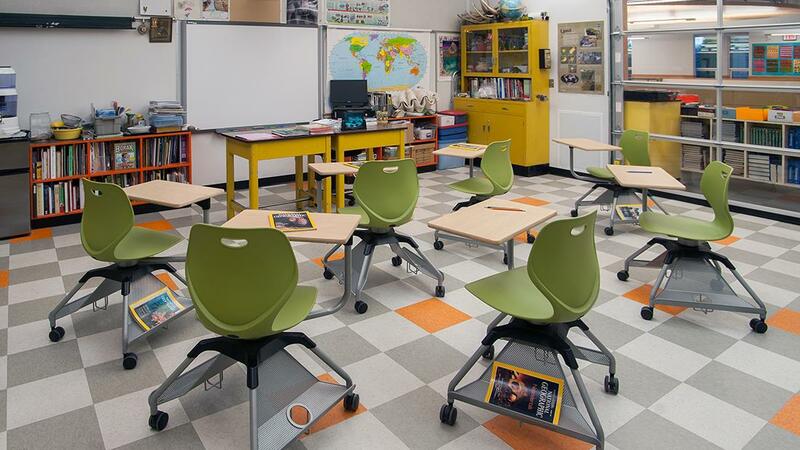 JM&C’s expert touch is seen in the furnishings supplied, featuring mobile tablet arm chairs, collaborative tables, beanbags, modular seating and benches.